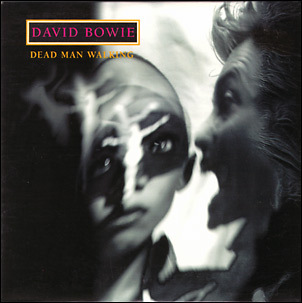 CD2 Dead Man Walking (Edit)/I'm Deranged (Jungle Mix)/The Hearts Filthy Lesson (Good Karma Mix). 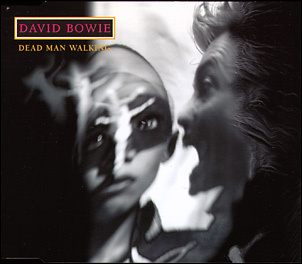 CD2 is a limited edition digipack. 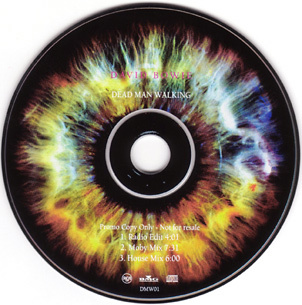 Dead Man Walking (Radio Edit)/Dead Man Walking (Moby Mix 1)/Dead Man Walking (House Mix). 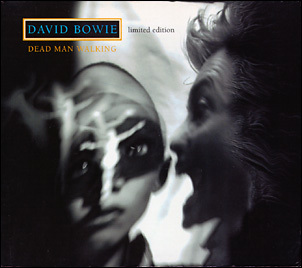 The CD-singles are labelled Part 1 and 2 on the spine, but otherwise come in identical artwork. Dead Man Walking (Edit)/Dead Man Walking (Album Version). 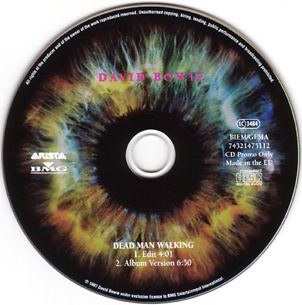 Promo CD-single in artwork identical to the single. 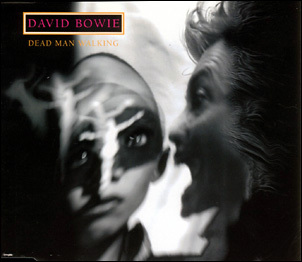 Dead Man Walking (Edit)/Dead Man Walking (Moby Mix 1)/Dead Man Walking (House Mix)/Dead Man Walking (This One's Not Dead Yet Remix)/Dead Man Walking (Vigor Mortis Remix). 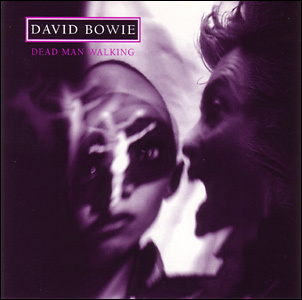 Dead Man Walking (Edit)/Dead Man Walking (House Mix)/Dead Man Walking (This One's Not Dead Yet Remix)/I'm Deranged (Jungle Mix). 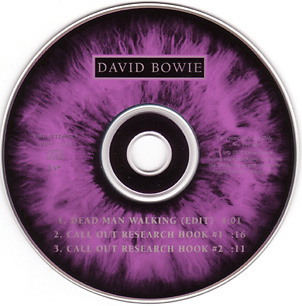 Dead Man Walking (Edit)/Dead Man Walking (Call Out Research Hook #1)/Dead Man Walking (Call Out Research Hook #2).